With expansive white sand beaches on the Gulf of Mexico, Clearwater Beach is a waterfront Florida community known for its aquatic activities and warm, turquoise waters. Clearwater Beach is an ideal launching pad for kayaking, parasailing, boating, and biking. It’s known as being more low-key than its southern neighbor, the bustling St. Pete Beach, and many consider Clearwater Beach to be among the best beaches in America. 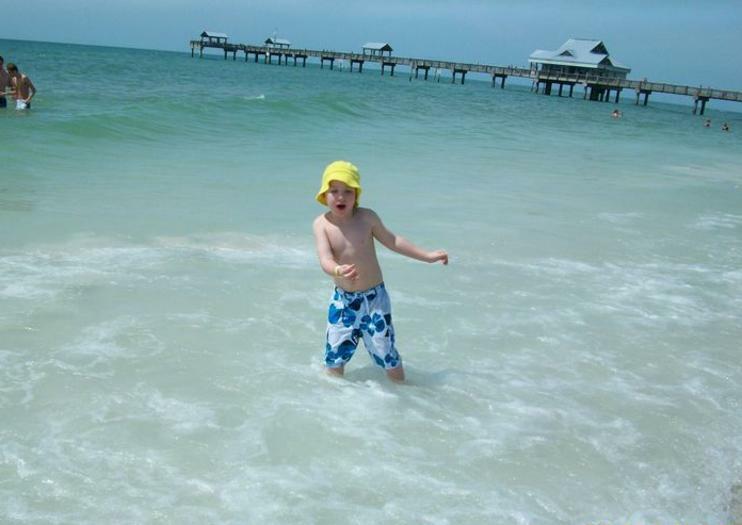 There’s an activity for every age and interest at Clearwater Beach, from relaxing on the sand with beach chairs, umbrellas, and cabanas to jet-skiing, speed boating, and fishing. Families with kids enjoy the gentle surf, prime for swimming and water sports. Visitors often steal away from nearby theme parks to spend time on the water, sometimes on day trips from Orlando and St. Petersburg. At three miles long, Clearwater Beach is easy to navigate by car, bike, or foot. Mandalay Avenue, which runs parallel to the beach, is a mile-long stretch of restaurants, shops, and hotels. To get an overview of the area, jump on the Jolley Trolley (fees apply), which travels around Clearwater Beach and up to Sand Key. Be sure to bring sun-protection gear and beachwear. Restroom and shower facilities are offered at most area beaches. Beach wheelchairs are available at the Main Beach Lifeguard Station, south of Pier 60. Clearwater Beach is about 22 miles north of St. Pete Beach and two miles west of downtown Clearwater. The road south is South Gulfview Boulevard, and north is Mandalay Avenue, Clearwater Beach’s main drag. The nearest airports are in Tampa, about 20 miles (32 kilometers) away, and St. Petersburg-Clearwater, 12 miles (19 kilometers). The beach is about a two-hour drive from Orlando. Clearwater Beach is warm year-round, with peak temperatures from April to October. Summer temperatures often hit upwards of 90°F (32°C), when the humid, subtropical climate often also sees short thunderstorms. The mild winters attract the largest crowds. Visitors to Clearwater Beach can do more than just lounge by the famously clear water. Plan ahead and book a deep-sea fishing tour or a dolphin boat tour, or check out the “Sea Screamer,” a speedboat that zooms along the coast. Don’t miss the 1,080-foot (329-meter) Pier 60, with its bait shop, playground, and evening sunset festival, or beautiful Sand Key Park, which sees smaller crowds.